Posted on Jul 31, 2015 by Appleton Downtown Inc.
Last Saturday, I was excited to stop at Park Ridge Organics located in front of Vagabond Imports and picked up a full basket of fresh produce from one of the only certified organic produce vendors at the Saturday Downtown Appleton Farm Market who was more than happy to share her harvest and knowledge with me. Robyn sensed my tentativeness with a few ingredients and took the time to explain how to cook a few that had me perplexed. That night we tried fresh roasted beets for the first time! Yum! I hadn’t had beets since I was a kid and then they were out of a can. My son proclaimed “it smells like roasted corn” and was anxious to try them. He and I both loved them. My husband simply roasted them with a little olive oil in a 375 degree oven for 30 minutes. The next day, I had the leftovers for lunch and they were still delicious after a minute in the microwave! 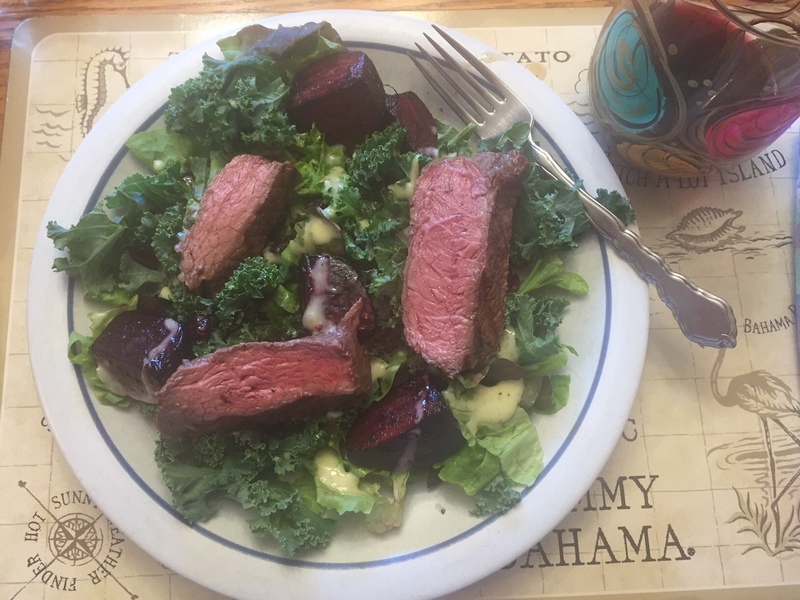 I added my beets to the top of a kale and fresh greens salad and topped it off with slices of grilled sirloin. The next day we roasted the fennel (with the same method we had used for the beets). We also baked a pre-seasoned salmon but we added green onions, parsley, dill and the roasted fennel. 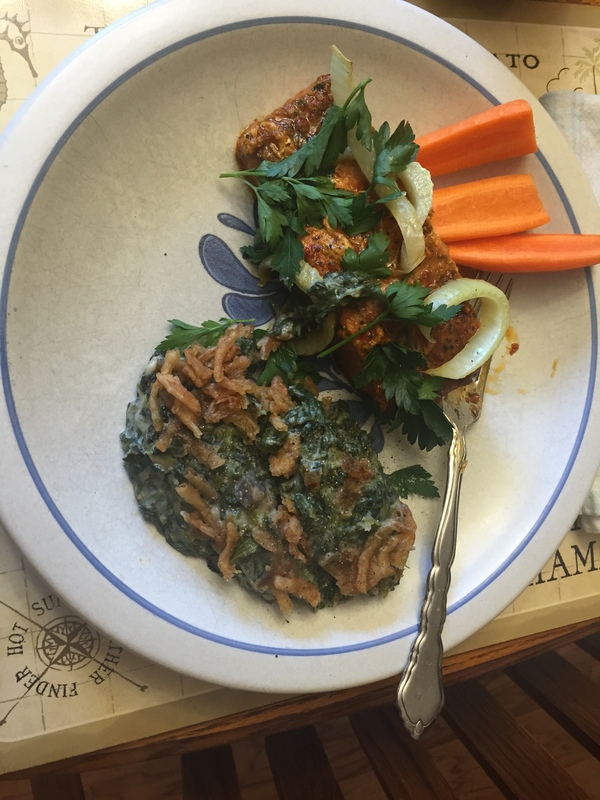 On the side we enjoyed creamed spinach and fresh carrots. Taste explosion! We all agreed the fennel has a mild flavor, but definitely kicked it up a notch! So in addition to all the fresh produce, we got three small ears of purple kerneled corn grown sustainably by their cooperative farm, Berry Dairy. My daughter who had not been home for each dinner, put one ear of corn in the paper bag they supplied. She did burn a few kernels since she didn’t stop it when the popping slowed as instructed. However she enjoyed the flavor. And best of all, the next night she didn’t have any burned kernels in her batch! 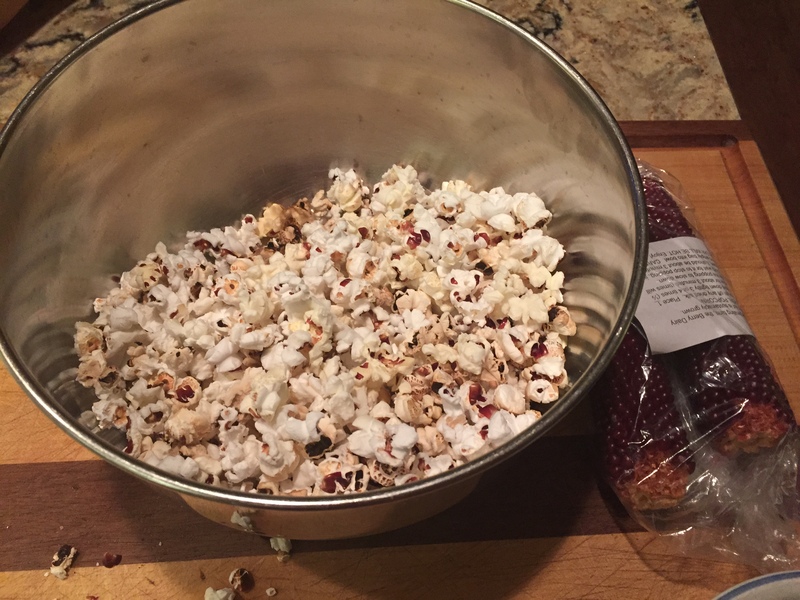 If you are used to heavily buttered and salted popcorn, this will be different. However, if you are interested in a great tasting, healthy alternative, this is ideal! Park Ridge Organics is certified Organic by the USDA following the National Organic Program standards. This certification is the real deal! We are regulated and inspected by our chosen certifying agency, Midwest Organic Services Association (MOSA). So what does it mean to be certified Organic? Organic is a labeling term that indicates that the food or other agricultural product has been produced through approved methods. These methods integrate cultural, biological, and mechanical practices that foster cycling of resources, promote ecological balance, and conserve biodiversity. Synthetic fertilizers, sewage sludge, irradiation, and genetic engineering may not be used. Park Ridge became certified in 2003, their very first season. Their farming methods are tried and true and their farm is open for inspection. Yes, it does cost money to be certified, but it is a price they are willing to pay.